It's taken me a while to jump on the "Wellies" trend that we've been seeing around the blogosphere, mainly because well they're just needed in Florida. Sure, we get rain but I feel like wellington's are more winterized these days. And while I love the classic styles and solid colors, my eyes always wander towards prints and brights like these trendsetters from Brantano. They're bound to kick whatever winter weather blues out of your system, and go right on through to those April showers.. Here's 4 styles that belong in my closet... Which is your favorite? 3. Stripes. Nautical Chic, Right? I am i nlove with these!! i love the stripped the most though! I love all your choices, especially the polka dots! i am in love with all of them, i cant even picture a favorite. 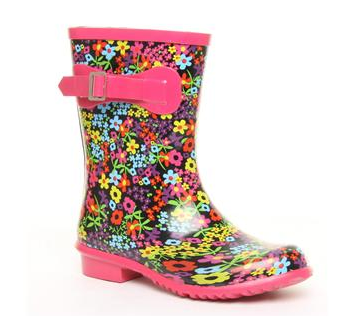 Lov the florals, they are so cute and perfect for our very rainy weather here. I should really get some! They're very cute, but I'd never wear them I think. Not really my style. 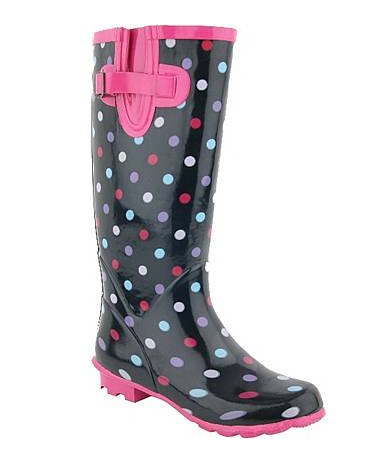 Can't say I really jumper on the trend either, but I have a cute black pair with pink breast cancer ribbons and hearts printed on them, for when I go camping or if we go walking in proper rain! In Wales we are pretty much just used to the weather so wellies are only for extreme conditions usually! Thank you so much for your sweet comment! 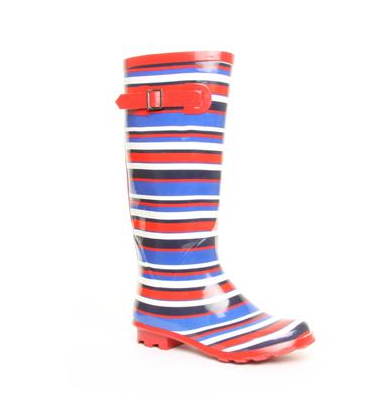 Love the ankle wellies! I don't like rainy boots, but those one are pretty! 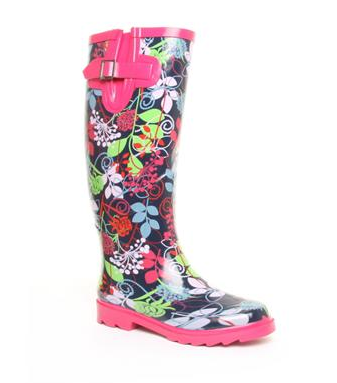 I love wellies , they are great for rain and snow with a liner . All mine are tall , I love the floral ankle. I love the striped pair!! I'm partial to the polka dots! I love my rain boots and they are really practical here in northern ca. I really want a pair! Reading your blog will have to suffice as a vicarious thrill. One of these days I'll pull the trigger on the Hunters I covet! For now, I have some fun leopard Sperry wellies though!